A high energy song sure to get you dancing wherever you are while still giving a powerful message. "You can say, you can say what the FUNK you wanna say, THE TRUTH SHALL SET YOU FREE!" A solid rhythm section driving, happy horns and vocal harmonies that will have you singing along with Mz. Etta! 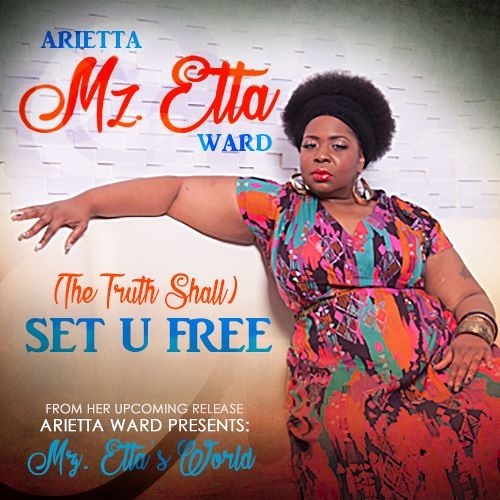 TRACK PERSONNEL: Arietta "Mz. Etta" Ward: Lead Vocals, Supporting Vocals Tyrone Hendrix: Drums Damian Erskine: Bass Glen Hoover: Guitar James Shelton: Electric piano, Organ, Wurlitzer Nafisaria Scroggins-Thomas: Supporting Vocals LaRhonda Steele: Supporting Vocals Michal Angela Wilson: Supporting Vocals Michael "BeatZilla" Whitmore: Supporting Vocals Horns: "The Rose City Horns" Farnell Newton: Trumpet Kyle Molitor: Trombone Recorded* and Mixed by Tony Ozier, Portland OR. Mastered by Dana White, Specialized Mastering, Portland, OR. *additional recording at Pure Cuban Sugar, Portland, OR. and The Kingdom's Sound, Detroit, MI.